On-line library of images for biology and human anatomy. Resource that provides information on grants, books, conferences, online journals, products and much more. Medscape Reference is the most authoritative and accessible point-of-care medical reference for physicians and health care professionals. All content is available free of charge, both online and via mobile devices. Medscape Reference articles represent the expertise and practical knowledge of top physicians and pharmacists from leading academic medical centers in the US and worldwide. In addition, our rigorous literature survey process allows us to rapidly integrate new practice-changing information into the relevant topics by systematically reviewing the major medical and pharmacy journals, news announcements, and important practice guidelines. Produced by the University of South Carolina, in-depth information and tutorials on all aspects of Infectious Diseases, Bacteriology, Immunology, Mycology, Parasitology and Virology. Contains links to reference resources, databases, societies, conferences and technology relating to immunology. There are also links organized by subject areas. Patients and healthcare professionals alike depend on authoritative, expert resources to make informed decisions regarding allergies, asthma and immune deficiency disorders. Welcome to a website backed by the AAAAI, a membership organization of more than 6,600 allergist / immunologists and related professionals around the world with advanced training and experience dedicated to allergy, asthma, immune deficiencies and other immunologic diseases. 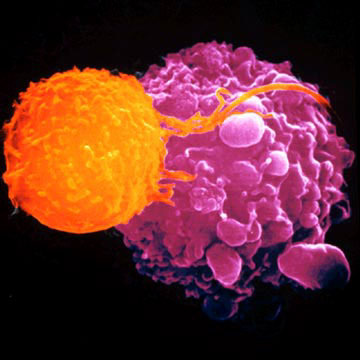 The American Association of Immunologists is an association of professionally trained scientists from all over the world dedicated to advancing the knowledge of immunology and its related disciplines, fostering the interchange of ideas and information among investigators, and addressing the potential integration of immunologic principles into clinical practice. The American Association of Immunologists serves its members by providing a center for the dissemination of information relevant to the field and its practices, such as educational and professional opportunities, scientific meetings, membership-derived issues and opinions, and important social and political issues. AAI owns and publishes The Journal of Immunology—the largest and most highly cited journal in the field. Information, advocacy, research, information on local chapters and support groups and "Ask the Allergist" email feature make this an extremely useful website. Also included are a pollen count by zip code feature, and information on clinical trials and new treatments. The British Society for Allergy & Clinical Immunology (BSACI) is the national, professional and academic society which represents the specialty of allergy at all levels. Its aim is to improve the management of allergies and related diseases of the immune system in the United Kingdom, through education, training and research. Includes statistics and information for healthcare professionals. The World Allergy Organization (WAO) is an international umbrella organization whose members consist of 84 regional and national allergology and clinical immunology societies from around the world. By collaborating with member societies, WAO provides direct educational outreach programs, symposia and lectureships to members in nearly 100 countries around the globe. האתר מבוסס על ספר אשר נכתב ע"י פרופ' יצחק כץ, ואשר פורסם לראשונה באפריל 2004. בפורטל זה תמצאו מידע רלוונטי בתחום האימונולוגיה, אסטמה ואלרגיה: מקורות מידע, אתרי מוסדות וארגונים, מאגרי מולטימדיה וכד'. רכזנו עבורכם גם את הספרים וכתבי העת החשובים בתחום.